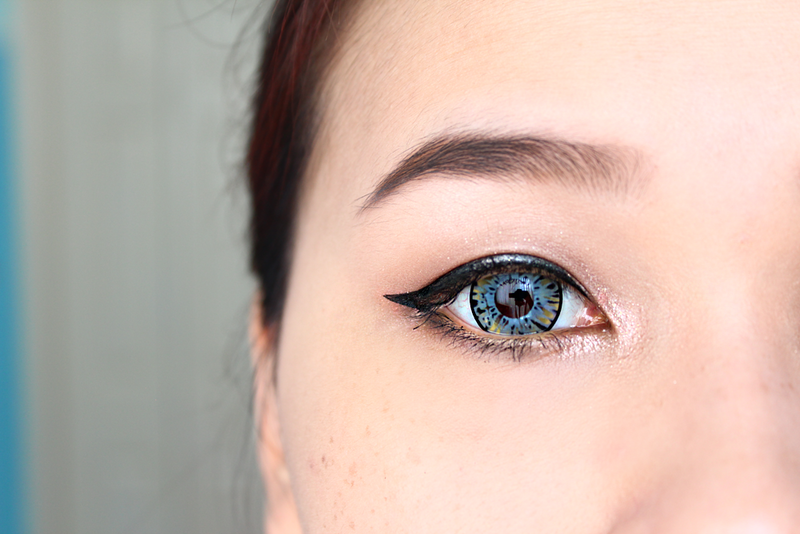 Lets just take a second to admire how dazzling these lenses are. Out of all the lenses I've worn, these have one of the most unique patterns and color. 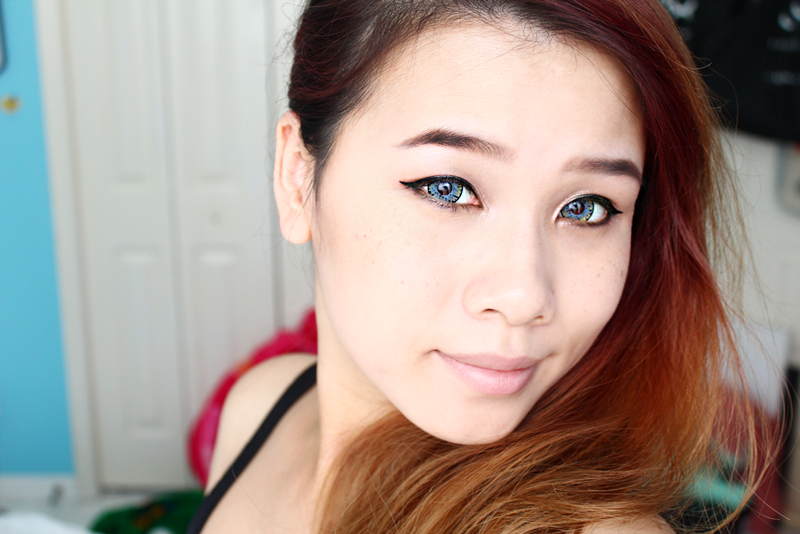 My eye do look irritated in these photos since I was putting on and taking off lenses multiple times. Enlargement is gigantic, and wearing these without makeup doesn't seem like a good decision. These can make your eyes look a bit like an alien or give off that lizard effect. However if worn with complementing makeup, it looks spectacular , especially in photos or videos. You can definitely notice these from far away. I can't even stress enough how eye catching they are in pictures as well as in person. I think the biggest downside of these lenses is the fact that they are kinda uncomfortable after a really short amount of time. I personally only like to wear these for short bursts of time, ranging from 3-5 hours at most. I feel like since they're so opaque, and covers so much of the eye it makes mine feel uncomfortable and "stressed". I'm not sure how to explain that feeling, unless you've worn contacts for an extremely long amount of time like me.